This is a sponsored conversation written by me on behalf of Chex™. The opinions and text are all mine. Gift giving season is in full force. We like to give something to everyone who has touched our lives in the past year, including teachers, neighbors, and even our mail delivery people (thank you for letting me stay in my PJs while I shop)! And although these people have touched our lives, they may not be the easiest person to gift to because you may not know them that well. And that's where Chocolate Peanut Butter Cheerios™ Chex™ Muddy Buddies Party Mix comes in. Not only is it a great party mix, but it also makes a great and easy delicious gift as well. There are also non-peanut butter recipes you can make too if you are concerned with allergies. This recipe is also great to bring to get togethers too. And it's easy because you basically just throw everything in a bowl and mix! 1. Pour 9 cups of Rice Chex (or Corn Chex) in a large bowl, set aside. 2. In separate bowl, microwave chocolate chips, peanut butter, and butter uncovered on High 1 1/2 minutes making sure to stir every 30 seconds until smooth. Stir in vanilla. Then pour mixture over cereal, stirring until evenly coated. 3. Pour cereal mixture into 2-gallon resealable food-storage plastic bag. 4. Add powdered sugar, Chocolate Peanut Butter Cheerios cereal, miniature peanut butter cups, and Planters® salted cocktail peanuts, then shake until well blended. 5. Serve as is or divide into individual Ziploc® containers, top with a cute bow, and gift! I have been having so much fun getting my kids more involved in the kitchen. They enjoy it more than playing with toys! And it just as fun as making a craft. They are learning through play or in this case, cooking! This recipe was super fun to make together too because it had so much sensory fun. Having a real life skill like knowing how to cook is key in this day and age as it seems many children are growing up without this knowledge. 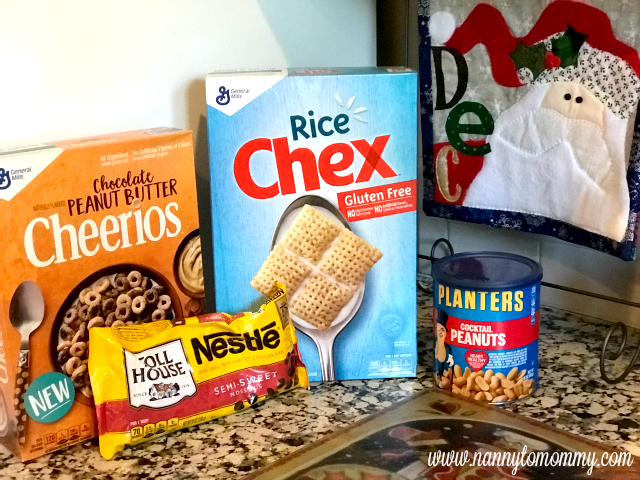 And if you want to save on this recipe, right now you can get the savings at Publix when you snag a printable coupon for one FREE Chocolate Peanut Butter Cheerios cereal with the purchase of any three Chex cereals to save on this fun, easy recipe. Publix has been my favorite couponing store for years! What do you think of this recipe? What do you think of giving easy gifts? Do you give gifts to neighbors, teachers, or even the mail carriers? Are you going to snag with these savings at Publix? This looks like a really good twist on the standard recipe that we've done with chex mix. Thanks for sharing! I love just about any Chex mix recipe! This stuff looks really good. Mmmm!! What a delicious treat!! Something we will definitely have to make for the holidays! Thankfully we have no nut allergies here! This is such an easy treat to make! Perfect to give to teachers, mailman, neighbors, etc! This looks easy and splendid! Great ingredients! This is a fail proof present we gift to many neighbors, teachers, friends. What a great treat! Wow that sounds delicious! I haven't seen chocolate peanut butter Cheerios but I will be on the look out now! These scrumptious party mixes not only look good, they are healthier for you too! 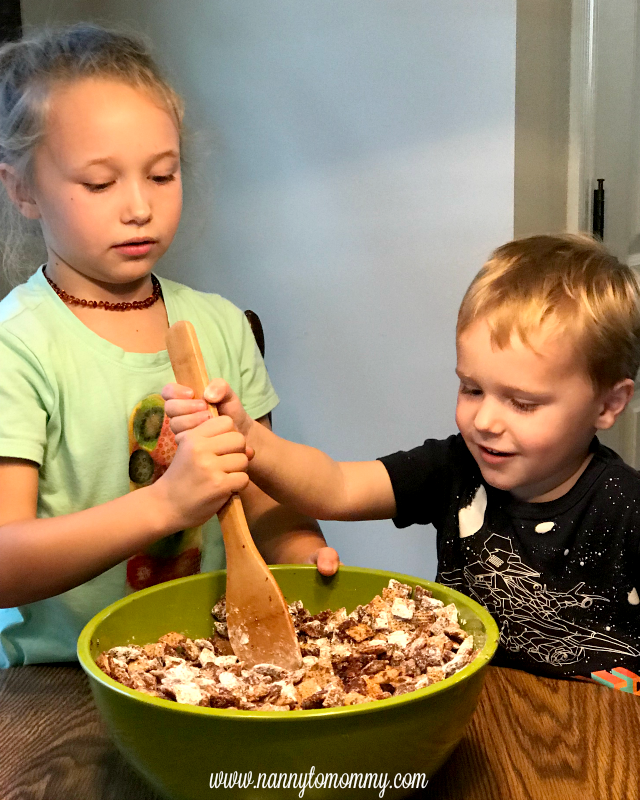 The kids look like they are having a good time making this recipe. 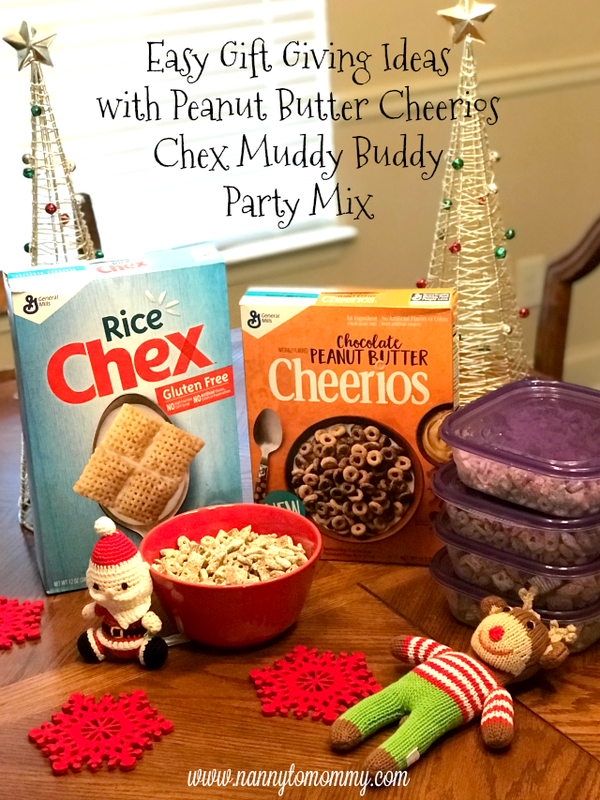 This sounds like a delicious muddy buddy recipe, my favorite for the holidays! And who doesn't love the combination of chocolate and peanut butter, yum! :) Thank you so much for sharing! Oh yum, bring there to my house please! Awww, love how this recipe is easy to have kids of so many ages help out. Great combination and use of easy to find and have on hand pantry items. Oooo! I kid friendly recipe that my kids will not only enjoy making but eating too! I haven't made anything with peanutbutter cheerios before. Looks delicious and richly wonderful! I have never tried the chocolate peanut butter Cheerios, but they look so yummy! Finally, a Cheerios with a taste, lol. These sound good. This looks so good. I will have to try and make some of this. My grandsons would love it. This sounds like a tasty treat, and just messy enough the kids would think it fun to make. I never heard of 2-gallon bags before, I need to look for them, and I'd like to try this. I think I would like the extra something that the Chocolate Peanut Butter Cheerios would deliver!